Now you're visualizing your profit-and-loss account like it was on the day of the last update. If you want to analyse the different categories, click on the blue triangle to pull them down. To see the detail of the account entries, click on the magnifying glass . A table lists all the entries from a specific account. The names of the accounts follow those used by your accountant. Read the PDF-file attached to the entry. 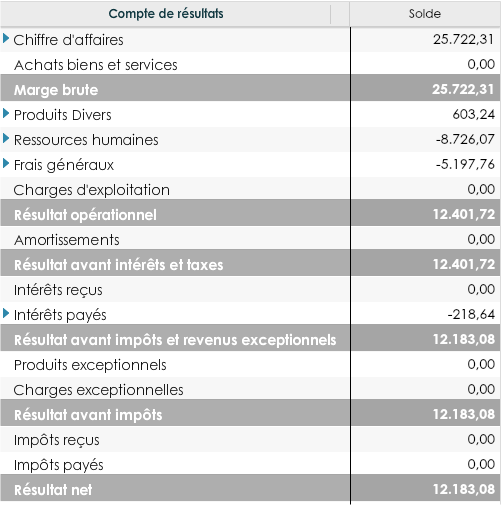 That button will only appear if you send your invoices to your accountant in a PDF-file.